The Ballads of Child Migration - SOLD OUT! In November 2018, a collective of brilliant and respected musicians and singers are taking to the road to tell the moving story of Britain’s forced child migrants. The songs in this concert were recently heard as part of a major BBC Radio 2 dramatisation of Michael Morpurgo’s book Alone on a Wide Wide Sea, which deals with the same subject. The radio drama, including the music, starred Toby Jones and Jason Donovan and reached an estimated audience of 6 million listeners. Forced child migration is a little known and dark part of the history of Britain. 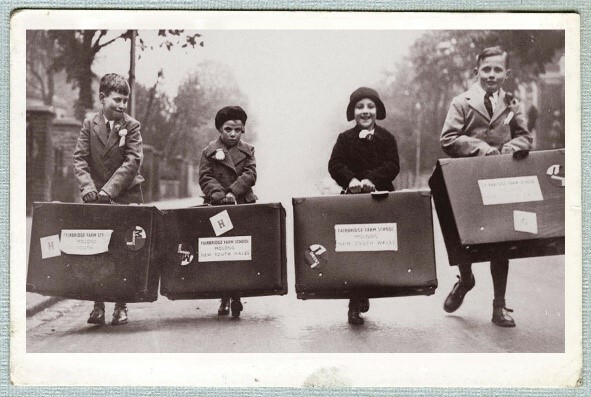 More than 100,000 children from Britain were sent overseas (to places including Australia and Canada) with the promise of finding a better life. Some did find the happy lives they longed for; many others found only hardship, abuse and loneliness. The Ballads of Child Migration is a tribute to those children, some of whom were sent abroad as recently as 1970. After each concert there will be a short Q&A session where members of the audience can ask questions of the performers and other experts about child migration. This tour is supported by the Arts and Humanities Research Council, and is produced by 7digital – the digital music and radio services company that also produced the BBC Radio version of Alone on a Wide Wide Sea. Folk in the Barn are extremely honoured and delighted to be hosting the opening performance of this show on Monday 12th November. The Ballads of Child Migration from 7digital Creative on Vimeo.